During the month we can look forward to a number of very special and enjoyable occasions in the Parish. The children from the school will be performing a special concert in the Arts Centre on Wednesday 6th February at 7.00 p.m. This is always a wonderfully enjoyable occasion and I know it will be very well supported by all the parishioners, and of course the family and friends of the children. Tickets available in the school. This year we are holding the Patronal Festival on Saturday 23rd and Sunday 24th February. The children of the Parish will prepare a special Art Exhibition. There will be a coffee morning on Saturday from 11.00 a.m. – 1.00 p.m. The special Patronal Festival Service will be held on Sunday 24th at 11.30 a.m. The special preacher will be Emma Rothwell, Chaplain at Wilson’s Hospital. Everyone is cordially invited. A special Regional Craft Awards Evening will be held in All Saints’ on Friday 8th February at 7.00 p.m. We will warmly welcome exhibitors from the different Companies and, of course, those from Mullingar. This promises to be a very special occasion. Our Bible Study this month will be held on Saturday 9th February at 10.30am in All Saints’. Everyone is welcome. The Whist Drive this month will be held on Friday 1st February at 8.30 p.m. in All Saints’. Do come and join us for a very enjoyable evening. The Rock Solid Youth Club will be held on Thursday 28th February from 7.30 p.m.- 9.00 p.m. All young people from the age of 11 are warmly invited. This year the Confirmation will be held in All Saints’ on Sunday 27th October. I would like to invite all those who wish to be confirmed to attend a meeting with me in All Saints’ Church on Sunday 3rd March at 10.00 a.m.
J.A.M. will be held in Killucan each Sunday at 11.30 a.m. and in All Saints’ on Sunday 17th February at 10a.m. We look forward to welcoming all the children. In All Saints’ on Sunday 10th February at 11.00 a.m. there will be a special Service of a Children’s Songs of Praise. This promises to be both inspiring and uplifting, so do come and hear the children’s voices. A day of prayer and quiet reflection will be held in St. Anne’s Retreat Centre Killenard, Co. Laois, on Saturday 30th March from 10.30 a.m. – 4.00 p.m. The Prayer Retreat will be led by Canon Patrick Lawrence. This provides a wonderful opportunity for a time of quiet reflection and thoughtfulness and I warmly commend the Retreat to you. It will be held as one of our special activities during Lent. There are just 20 places available, so please let me know in good time if you wish to attend. The Bishop has invited me to organise Faith Raising days for the Diocese. The first was held on 22nd September 2018, and those who attended found it very beneficial. 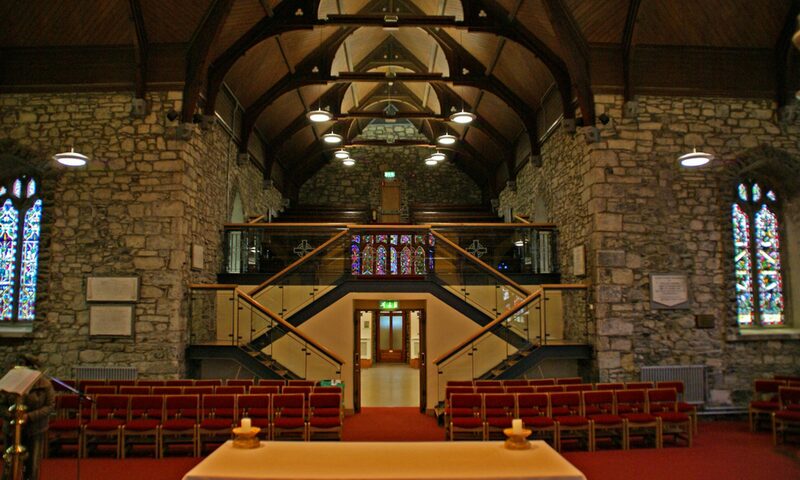 The next Faith Raising day will be held on Saturday 9th March in Killenard Retreat Centre. I commend this day to you and, if you would like to join me and other members of the Diocese, you would be most welcome. Please speak with me for details. For the last few years the women of our Parish have conducted a lovely Service in All Saints’ on the first Sunday in March. This year the Service will be held on Sunday 3rd March at 11.00 a.m. in All Saints’. It will be an ecumenical occasion and we will invite women from other churches to join us. Please do mark it in your diary and further details will be available in the next issue of the Union Notes. Siobhan Murphy, the dance choreographer, will be organising three modules for Liturgical Dance this year. There will be a performance at the end of each module. The first performance will be on Good Friday, 19th April, and the first practice will take place on Sunday 24th March. Siobhan will be teaching young people from the Parish from 11 years of age upwards, and the dance will incorporate challenging and interesting routines. Do please let me know the names of the young people who may be interested. This is a wonderful opportunity for them to experience a high standard of liturgical dance. We would like to offer our deepest sympathy to David and Pamela Webster. Pamela’s uncle and aunt were tragically killed following a one-vehicle in Co. Monaghan. The tragedy of their death caused widespread shock and sadness. Pamela’s uncle and aunt were exceptionally well known and greatly respected and admired. We pray that David and Pamela, Pamela’s mum and all the family will be comforted by their loving memories of them, and that Joe and Louise, now in the fuller presence of God, may rest in peace and rise in glory. You may like to keep in touch with the Parish through the website and your family and friends may also like to have the web address. The address is www.mullingarunionofparishes.net. I encourage you to continue to look at the website and to also advise your family and friends about it.